Catalogue > Cities: maps and sights of cities and villages > 7. South Holland > LEIDEN. Burcht. 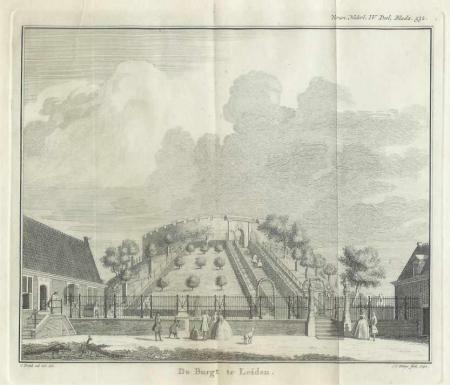 Kopergravure uit 1742 door J.C. Philips. Tekenaar: C. Pronk. Hoogte 16 cm. ; breedte 19,5 cm.